Formed in 1999, The Yuval Ron Ensemble endeavors to alleviate national, racial, religious and cultural divides by uniting the music and dance of the people of the Middle East into a unique mystical, spiritual and inspiring musical celebration. The ensemble includes Jewish, Christian and Muslim artists who have been actively involved in creating musical bridges between people of various faiths and ethnic groups worldwide. Led by Award winning composer Yuval Ron (music for Oscar winning film “West Bank Story”) the Ensemble has enjoyed overwhelming community support, was chosen to be featured in PBS “Holiday Celebration” TV specials and was honored with the Los Angeles Treasures Award and the Lincoln/Standing Bear Gold Medal from the City of Lincoln, NE in appreciation of its efforts for peace and justice worldwide. The Ensemble was invited by King of Morocco to appear at the International Sacred Music Festival of Fez, 2009 and had the honor to headline the benefit concert for the Dalai Lama’s initiative “Seeds of Compassion” promoting Compassion in Education, Business and Community. The ensemble was featured four times at the World Festival of Sacred Music in Los Angeles and at an International Peace Festival in South Korea in 2005. In addition, the Ensemble was chosen by the Mid-Atlantic Foundation and the National Endowment for the Arts to represent the United States and its cultural diversity at the International Folk Music Festival in Lublin, Poland in 2005. In 2006 the Ensemble was the first to introduce the music of the Middle East to Chihuahua, Mexico at the International Chihuahua Festival, and in 2007 it was featured in the International Oud Festival in Jerusalem as part of a Peace Mission Tour to Israel. In 2010 The Ensemble toured in Spain performing a unique collaboration with the Gypsy Flamenco artists of Andalusia in concerts in Seville, Jerez and Madrid. 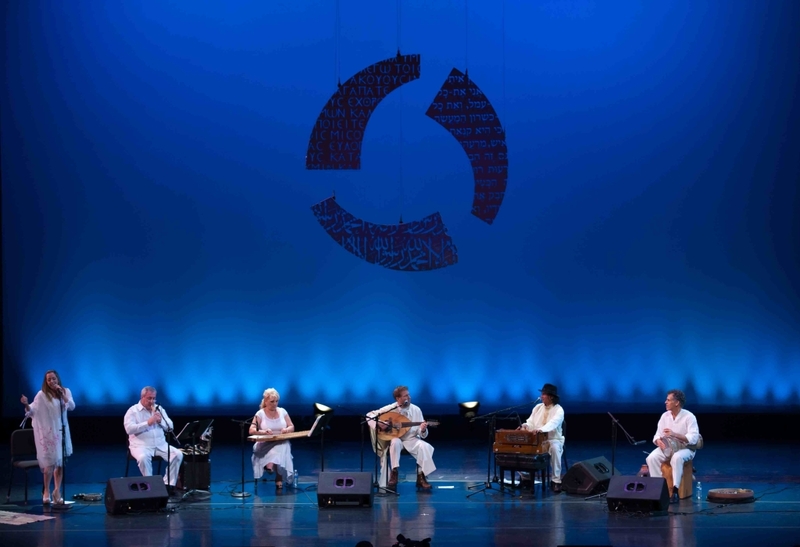 In 2011 the ensemble was invited by the Intercultural forum of the Association of writers and Journalists of Turkey to give a concert for peace in Istanbul and to conduct a Peace Mission Tour throughout Turkey. Additional Peace mission tours to Israel in 2013 and India in 2016 established the Ensemble as an active ambassador for peace worldwide. The Yuval Ron Ensemble Cd’s “Under The Olive Tree,” “Tree of Life,” and “Seeker of Truth” have become international favorites with world music lovers and has been featured on National Public Radio’s “Echoes” and “Hearts of Space” programs. The Yuval Ron Ensemble was in residencies at numerous schools such as Yale University, John Hopkins University, University of Chicago, UCLA, Seattle University and Middlebury College has performed numerous benefit concerts to support organizations that promote peace and help the disadvantaged.